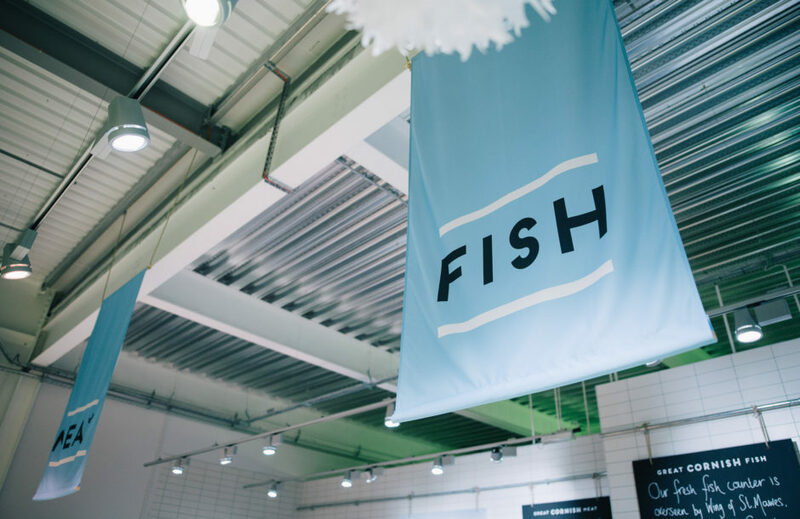 At the Great Cornish Food Store we celebrate Cornwall’s unique location – surrounded on three sides by the sea – to bring you a spectacular selection of local seafood. 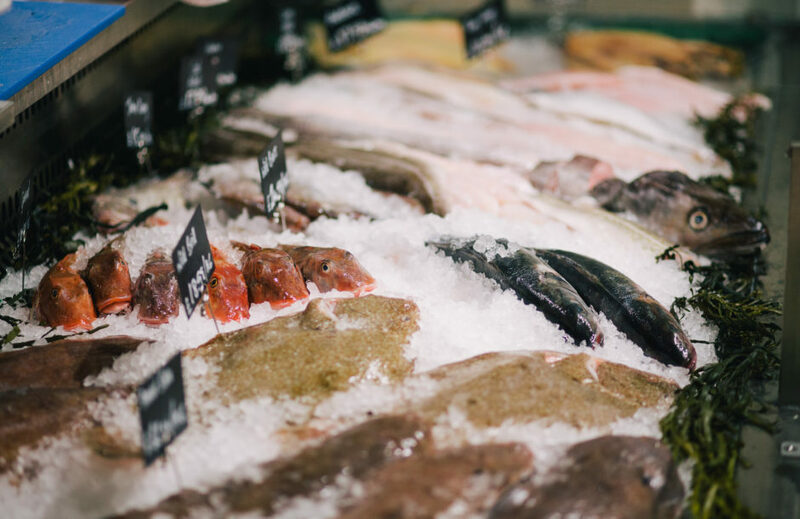 Our large fish counter is stocked and managed by our own team of skilled fishmongers. 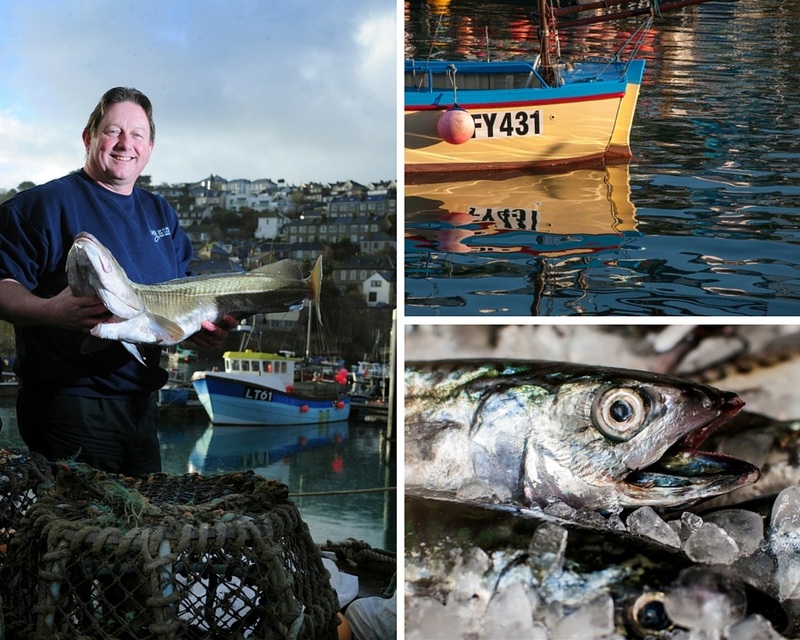 All our fish is sourced daily from local markets – mainly Newlyn and Looe, but also St Ives in the summer. Our fresh, handpicked, crab comes from St Ives every day. 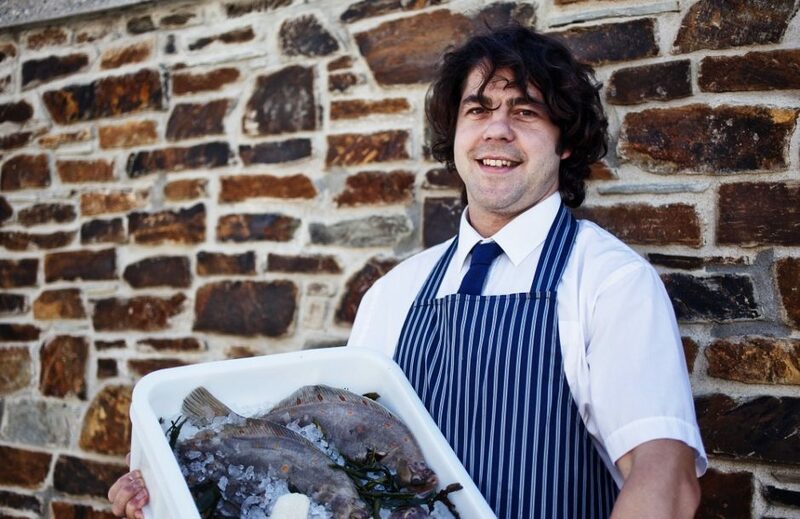 When available, we also buy live crab and lobsters direct from the boats in Newquay. These are cooked in our Store cafe kitchen to ensure they’re the freshest you’ll ever taste. The counter is open every day except Monday, as there are no fish markets over the weekend, and closed on the Tuesday after a Bank Holiday Monday. With so much choice and lots of different factors to take into account, it’s not always an easy question to answer. You’ll find most types of fish to some extent throughout the year but there are definitely optimum times to choose different species in order to keep fish stocks healthy and to get the best taste and quality. However, because fish habits and habitats are affected by the weather and sea conditions – as is the fishing – it can be a tricky old business trying to categorically define the availability of fish from one season to the next.